The theme for this month’s Viva Las Vegas stamp challenge is Celebrate, so I made this card. 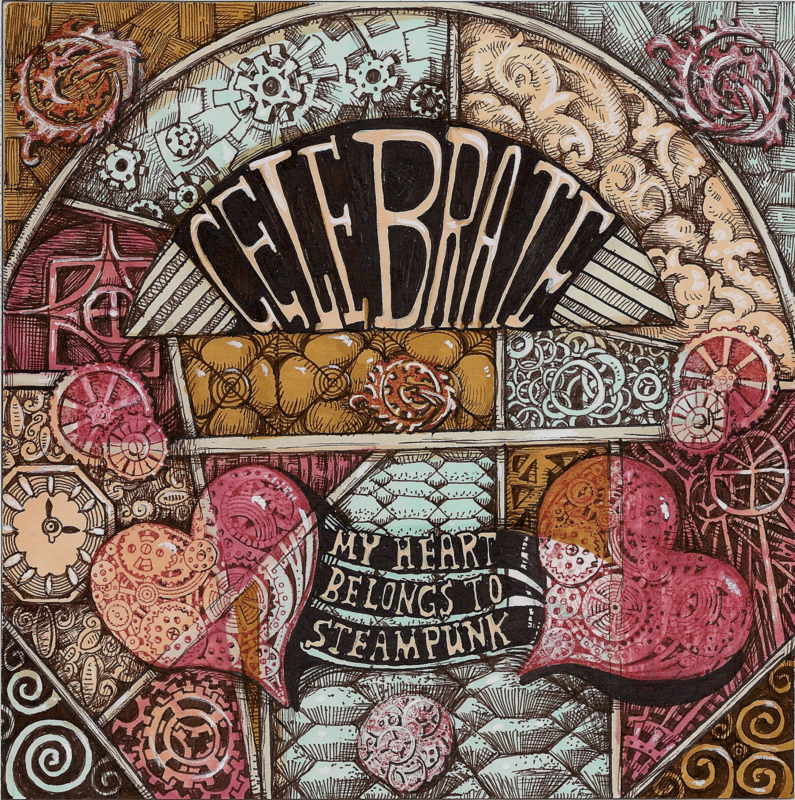 It didn’t come out quite as Steampunk as I hoped–Celebratepunk I guess! Letraset Promarkers, Black & Sepia Micron Pigma and Pentel White Sunburst Gel Pen on 4×4 Bristol. WOW! This is a masterpiece!! Fabulous! I love the look of layers – the depth of those hearts is amazing! Well done! Beautiful – very antique, classic looking. Love the mechanical piece.